Does coutinho belong in this group? Does bacelarigor belong in this group? 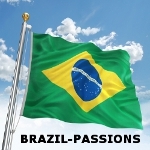 Hi, I´m here to get to know people who loves Brazil or brazilian people. Does brazilianveg belong in this group?